No landline provision made residents rely on their cell phone for communication. But new construction material was making that impossible. “At least a dozen people came in and refused to lease apartments because they couldn’t get an indoor cellular signal, and those who did move in were frustrated with their inability to make calls from inside their homes,” says Steve Klingensmith, Signal Booster Solutions Manager at RCS Wireless Technology. “We had to find a way to give residents the coverage they needed.” RCS Wireless Technology — a 65-year-old company that offers two-way radio solutions, paging and video camera systems, mass notification systems, and cell phone signal boosters — had done work previously for Lightstone Group, including a passive distributed antenna solution (DAS) at one of the company’s new hotel properties. 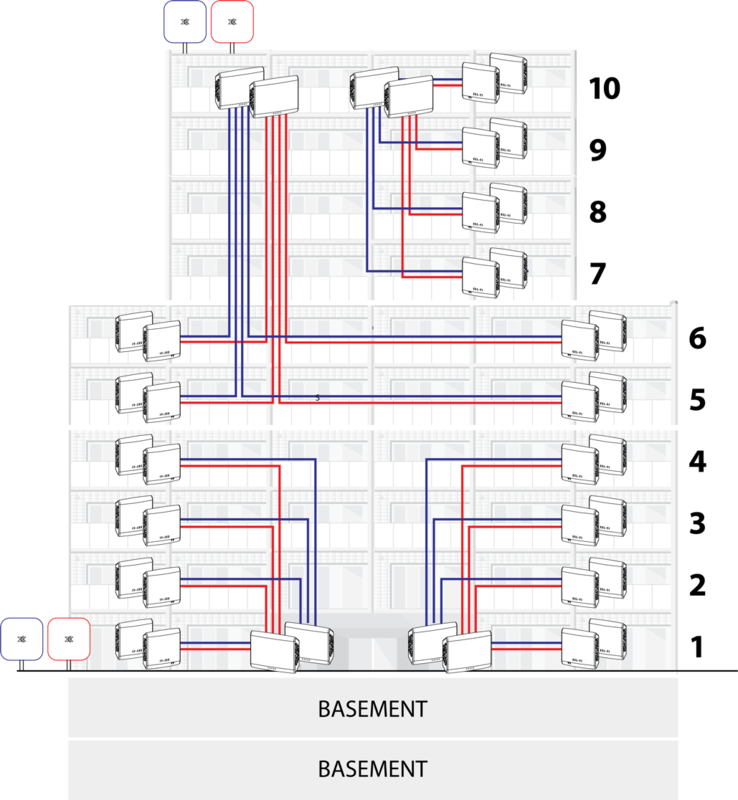 The installation at this hotel property was particularly challenging because Klingensmith and his team were forced to wait eight months between the time they installed the cabling and the actual installation. By then, cables had been pulled or gone missing entirely, and there were no access panels for the hard ceilings. In addition, it was difficult to determine points of failure due to the number of cables, splitters, and connectors required as part of the solution. All of this contributed to poor satisfaction around the solution implemented. 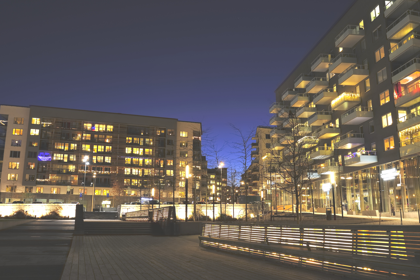 To address the coverage challenges faced by tenants in the apartment building, Klingensmith looked for an alternate solution. The company selected Cel-Fi QUATRA, an active DAS hybrid designed for the middleprise. This all-digital, carrier approved solution is guaranteed network safe and combines the best of both active DAS and Cel-Fi technologies. It enabled RCS Wireless to provide uniform, high quality cellular signal throughout the building to improve service for AT&T, Verizon, T-Mobile, and Sprint subscribers. However, the installation was not without its challenges as the ceilings between the building’s floors are exposed and are made up of eight-inch reinforced concrete. When installing the cable, RCS Wireless Technology used special mounting plates made of steel to attach to the concrete ceilings. The team then mounted magnets on the back of the coverage units to hold to them to the steel plates on the ceilings 10 feet up. This eliminated the need to drill into the concrete itself, which is time consuming and messy. The Cel-Fi WAVE platform provided the added benefit of enabling Klingensmith’s team to quickly access real-time performance data and manage the systems deployed throughout the building via their smartphones.